National furniture and interiors retailer Wren Living took the bold move of extending its successful kitchen brand with the launch of a new range designed by Linda Barker. 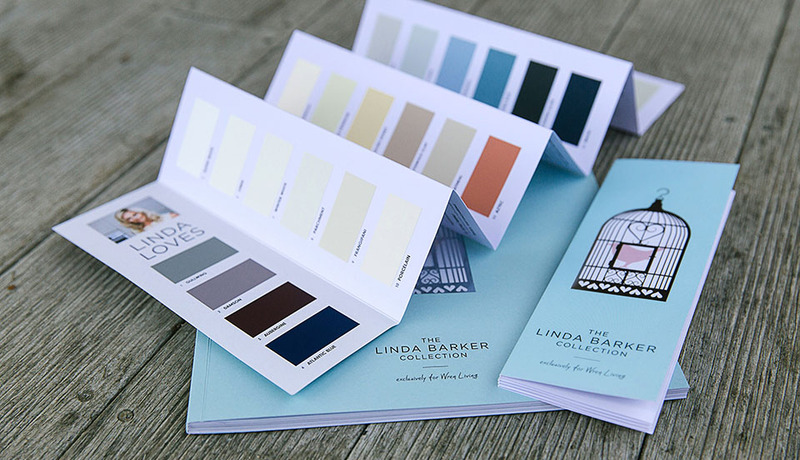 With a slightly higher price point than the Wren Designer range, sophisticated styling and a broad colour palette to choose from, the Linda Barker Collection represented a new market segment for Wren – and required a new approach to marketing. The Linda Barker Collection is a quality product that offers a little bit of luxury without an extortionate price tag. Our analysis showed that the key target is women over 45, either empty nesters or with older children, who are buying the kitchens of their dreams to entertain themselves and their friends. Our strategy was to position kitchens in the Linda Barker Collection as ‘luxury for less’. We created a bird cage logo in pastel shades to resonate with the target audience and maintain links with Wren’s corporate bird logo. To showcase the collection, we designed and printed brochures and colour cards featuring the new branding. As kitchens are an important part of any home – particularly for this audience – we wanted to tell the story of the collection. We wrote about every colour – 40 in total – giving each one a name and personality. 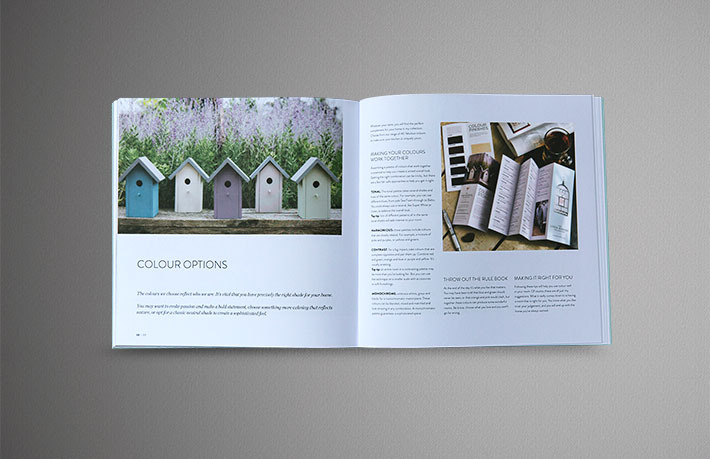 The colour cards were also illustrated with hand-painted nesting boxes and lifestyle photography taken by us. 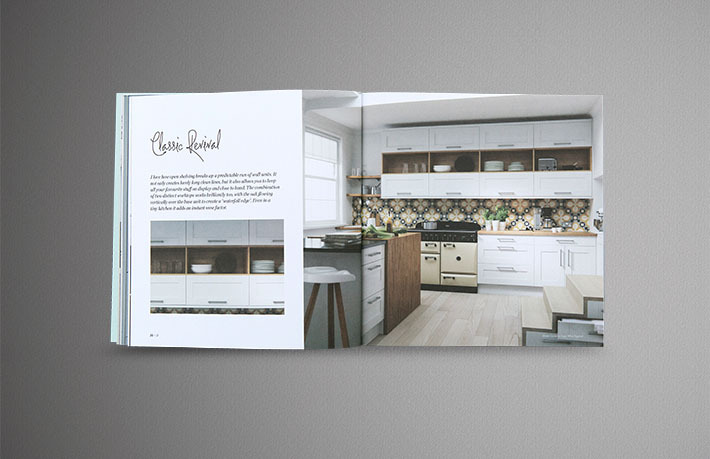 We developed and told a story about each kitchen design to help customers further connect to the range and make their choice more personal. Design features, such as a die cut cover, different paper textures, a translucent inner leaf, foil detailing, ‘handwritten’ notes and a soft, velvet-touch finish, combine to communicate a sense of luxury and sophistication. Our copywriters worked with Linda Barker to convey her vision and tone of voice in copy that also addressed the priorities and needs of prospective customers. We broadened the print content to include lifestyle articles about interior decorating and tips on design as well as beautifully showcasing all kitchens in the collection. A successful brand extension for Wren Living that is clearly separate from the main brand yet remains connected. The branding and marketing materials for the Linda Barker Collection communicate Wren’s key values and tell the story of ‘luxury for less’ in a powerful way. The launch of the Linda Barker Collection has been remarkably successful. Surprisingly for a collection, all colours have been successful - with top sellers being seafoam and white, the colours selected for the overall branding.